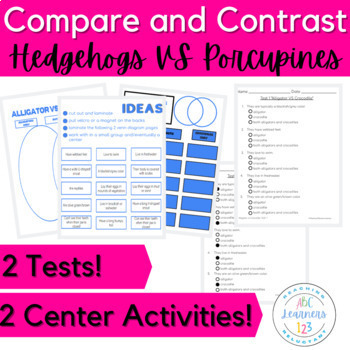 This packet is perfect for teaching small groups and for independent learning centers to help develop compare and contrast reading and writing skills. 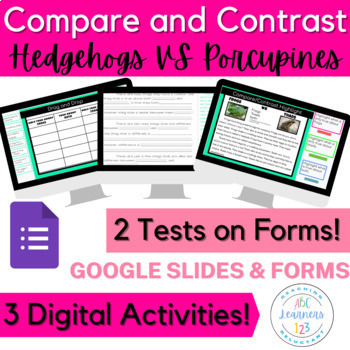 I have used this as well as the other compare and contrast animal pairings with 1st and 2nd graders and 6th - 8th grade special education classes. 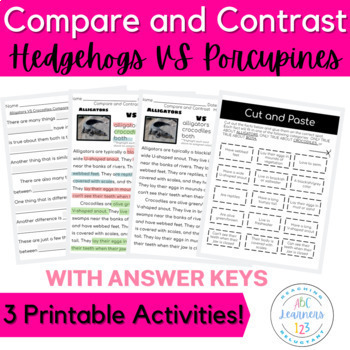 I cut out and laminate the colored facts boxes and sort them on the Venn diagram with magnets (Velcro will work as well) and teach them in a small group setting and have them record the information on the recording sheet and use the writing frame towards the end of the week and/eventually release it as an independent center. 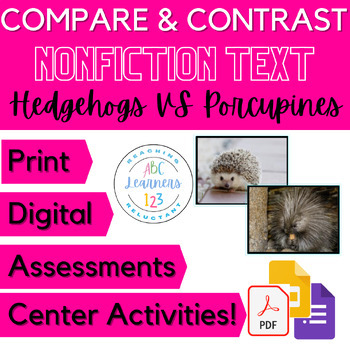 Bundle with all 10 animal pairing for a saving of $3.00!